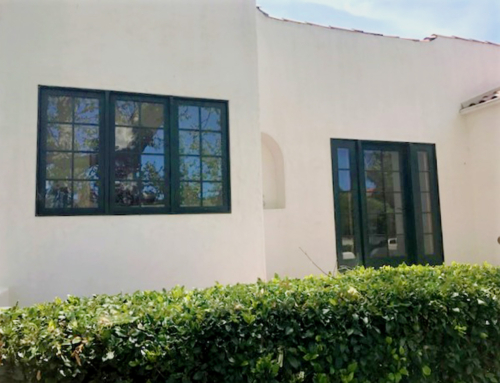 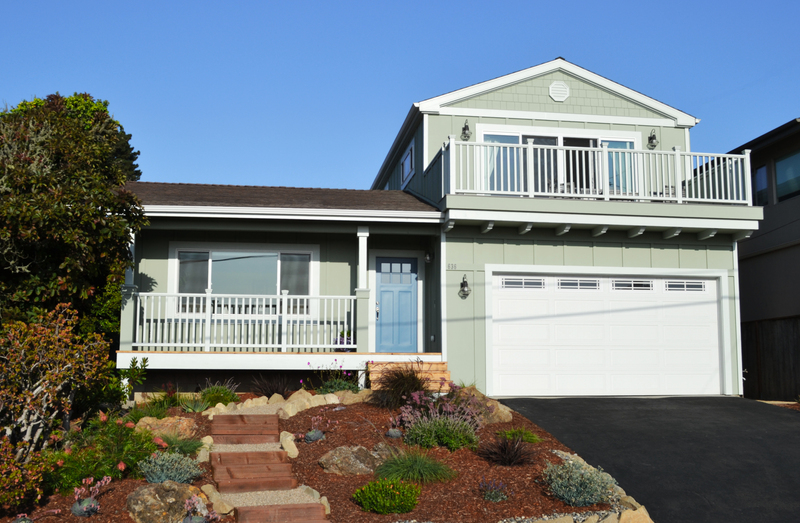 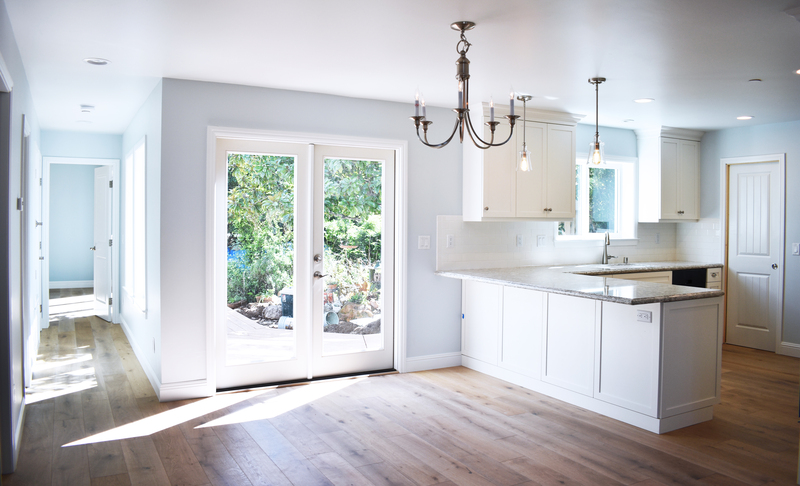 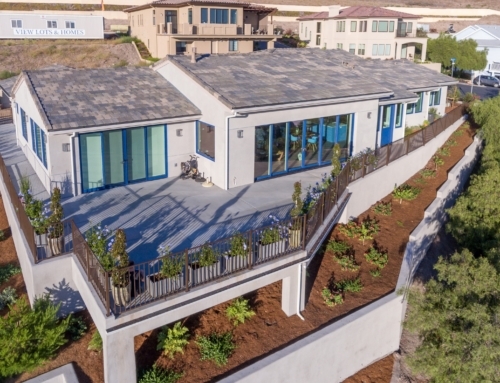 This beach house in Morro Bay features windows and a glass sliding door by Mi Windows. 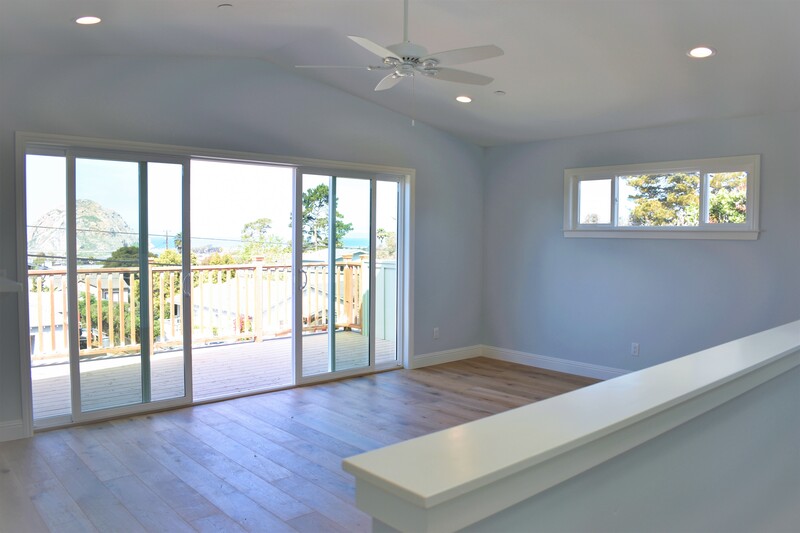 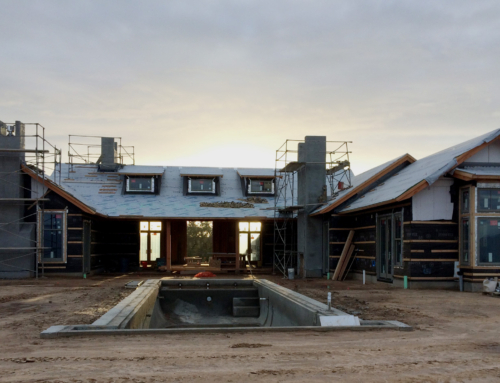 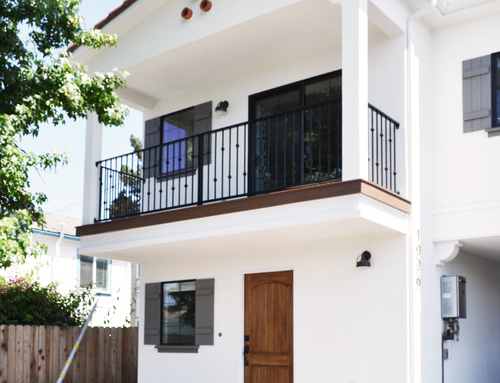 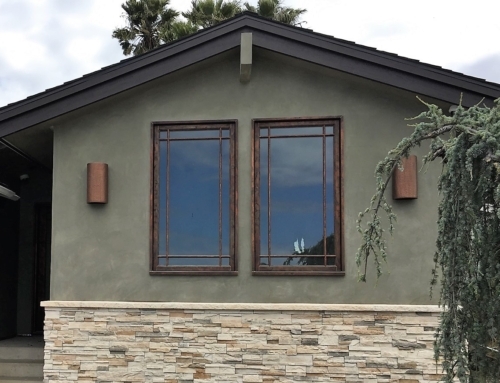 Mi’s Homemaker III vinyl collection is ideal for this west facing home with views of the ocean because the dual-pane insulated glass and warm-edge spacer system offers extreme protection from the direct sunlight. 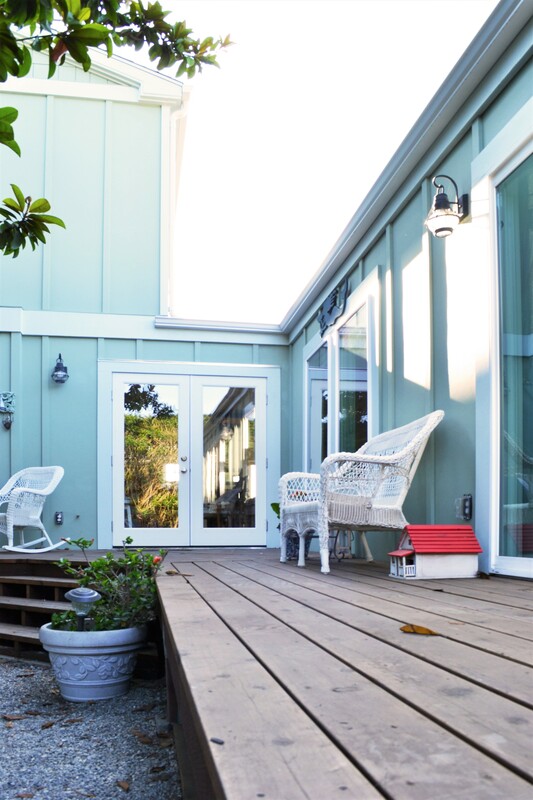 Its high-grade, vinyl exterior reduces the need for ongoing maintenance which is especially important with exposure to ocean air. 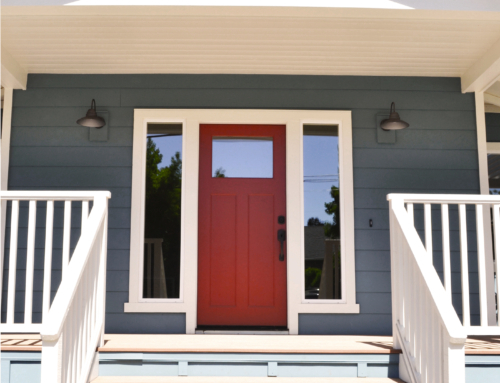 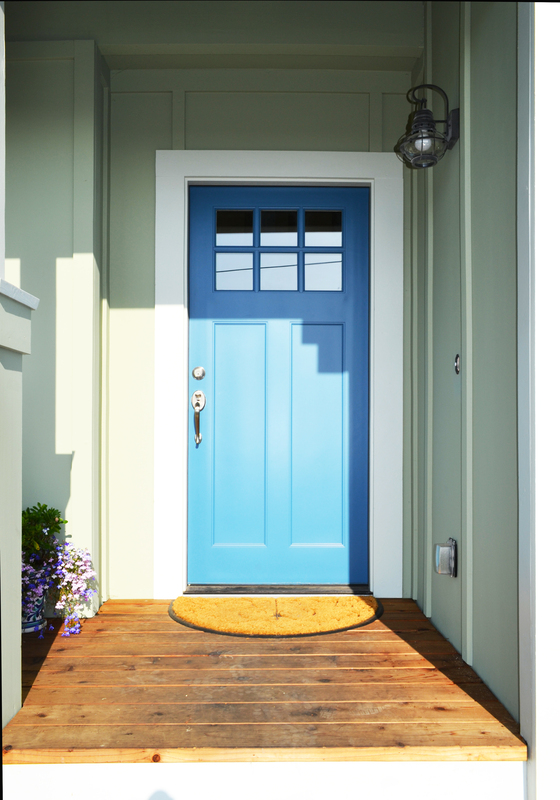 The fiberglass entry door by Plastpro adds a pop of color, welcoming guest while offering a great amount of protection from the coastal elements.